While the weather in San Diego doesn’t dip to the severe cold extremes as our neighboring states to the north or mid-west, you still want to make sure your pet stays healthy and comfortable during the winter. 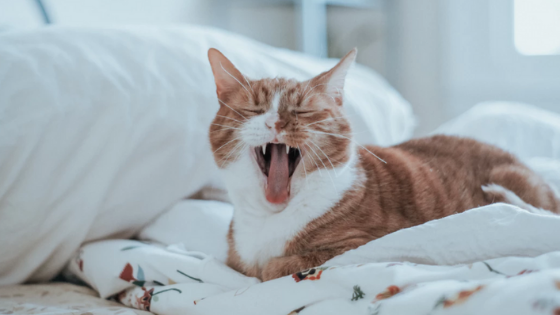 We hope that providing these tips to members of our Chase Knolls Sherman Oaks, CA apartments helps owners keep their pets in the best shape possible until spring arrives. It’s easy to forget that pets need lots of water even when it’s chilly. Don’t forget to fill your pet’s water supply before going out. If you're going to be out for extended periods of time, it's especially important that your pet has clear access to constant hydration. On nights when the temperatures do dip down, you don’t want to expose your animals to the air outside. They can catch a cold just as easily as you can, and everyone feels miserable when they're sick. Your pet has lots of time to explore while cooped up for the day or even at night. Make sure you don’t leave anything toxic in places they can get to with ease. You may also want to invest in some child-proofing items if you’ve got a pet that's more curious than most. Animals with fur lose vital oils from their skin whenever there’s a prolonged period of cold. Try to avoid bathing them during this time to keep their skin from getting dry and flaky. You might also want to avoid giving their fur a trim since this offers them an extra layer of warmth. Do what you can to keep their hair brushed and make them comfortable. Give your animal all the care and attention they love to bestow upon you! If you’re looking to upgrade your apartment, contact Chase Knolls apartments at (877) 712-7918 to find out more about our available floor plans.